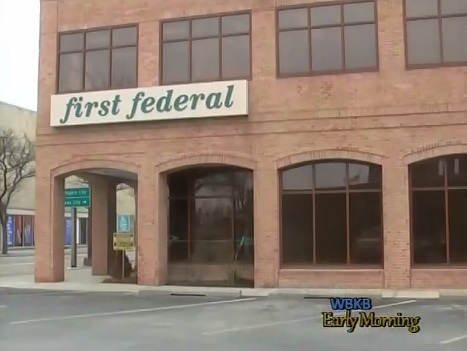 In March of 2005, First Federal Bank of Northern Michigan started a community foundation as a way to give back. President of the foundation, as well as CEO of First Federal of Northern Michigan, says this foundation was put in place to benefit the community. The bank meets on a quarterly basis to review and discuss grants that non–profits apply for. One of the grants approved was for Alpena Public Schools. The grant was submitted for the purpose of gathering money to send eighth graders on college tours. “The whole idea is show as many eighth graders as possible as many campuses within reach in northern Michigan, or throughout Michigan. I know they’ll visit Western, Eastern, Central Michigan, I think Lake Superior State University…so great chance to get kids out there and see that college can be a pretty interesting place to visit and hope that many of them would aspire to go to when the times comes and they’re contemplating the end of high school and what to do next with their lives,” says president of the foundation Mike Mahler. Treasurer of the foundation Eileen Budnick adds that this age is a particularly good time to impress upon students the places secondary education can take them. “They’re very impressionable at that age. So to impress upon them what the possibilities are of getting secondary education is all the greater,” says Budnick. Both Mahler and Budnick expressed their passion for getting more non–profits in the community to apply for grants. Mahler says frankly he’s surprised they don’t get more requests than they do.